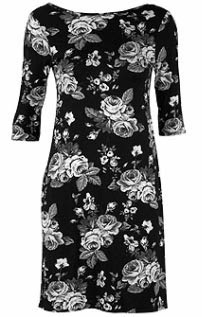 If animal prints aren't your thing, or maybe you've got too many already and are on the lookout for something different, why not kit yourself out in a floral print instead? I'm not talking tablecloth/curtain prints (although I have seen some out there!) I'm talking about prints like the two below which you could very easily wear for a casual feminine look. 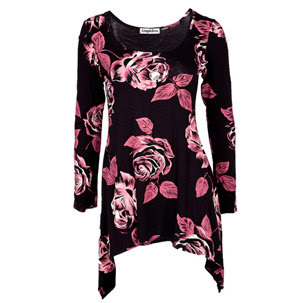 This dress is new in at Republic, with a pink and white flower design on black. It has long sleeves to keep your arms warm and covered up, and also has a "waterfall" kind of loose design at the bottom. It's a bargain at £19.99, click here for a closer look and to buy.